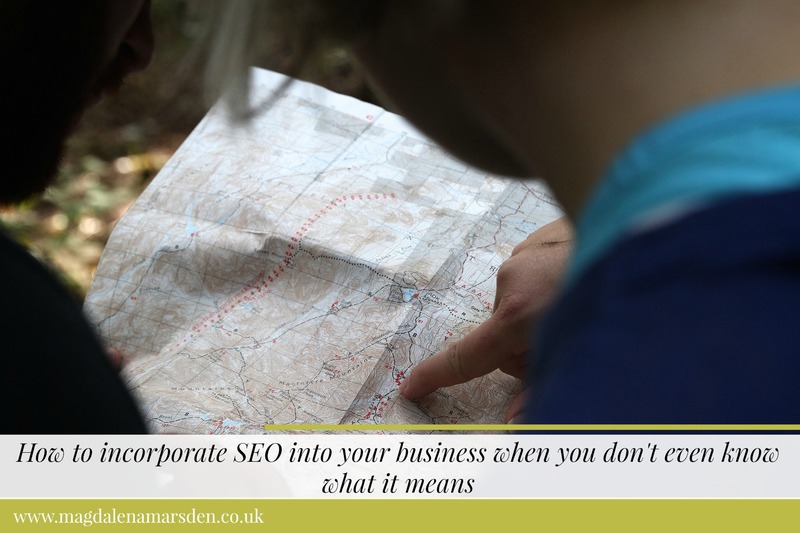 ‘Having SEO on your website’ sounds like some sort of ‘thing’ you embed into your website like a picture for example, but it’s more about what you do and how you run your website and business, than about one single ‘thing’. So, without going into too much technical jargon by trying to confuse you with keywords, meta descriptions and link building strategies, let’s have a look at how to incorporate SEO into your business when you don’t even know what it means. And this is not to say, that you couldn’t just look it up, of course you can! Write regular blog post updates. What’s ‘regularly’ depends on you, but once a month is better then nothing for a 6 months! Large news websites publish blog posts several times a day, but for for us – mortals – one decent blog post a week is a good start. There is no ideal, just do what works for you. Choose 2-3 social media channels where your ideal customers are and have a fun with it. Don’t try to just promote your business, enjoy it, connect with one person at a time and it will build up over period of time. Don’t forget to share your website with your friends and customers. Even a printed business card, leaflet or just a mention of your website, will bring people (=traffic) to your website. If they like what they see, they will engage, share or follow you on your social media. Make sure you have a newsletter sign up on your website. People are busy and they might not always remember to come back to your website to make a purchase or book your services. Make it easy for them by including a newsletter sign up on your website. That way, they can subscribe, knowing that they will get your updates and keep in touch. Write regular newsletters with interesting updates and topics that customers are interested in. Again don’t try to sell all the time, because that will put people off, but try to engage with them to keep them interested in your business. Make sure that you always include links to your blog posts or website pages in your newsletter; when relevant. Write a blog post that’s worth sharing. Think about something that will be really useful to your customers and that they are likely to share with their friends. I don’t of course mean that you’ll share your business secrets there, just write a post that’s perhaps longer than others, has in-depth analysis or is perhaps controversial. This will again bring more people to your website who are likely to interact with you. Make sure that your website copy and blog posts are easy to read and are appropriate to your target audience. This means not only using the right writing tone, but breaking up your text into shorter sentences, paragraphs and blocks of text. Most people don’t really read websites, they scan them! Join local business directories relevant in your business niche. Don’t go mad about joining absolutely every directory, which could potentially damage your website ranking, but focus on few selected directories. I tend to go for local ones as well as those that are not just directories, but also include blog and other content. Include ‘share buttons’ on your website. Make it easy for any potential customer (and your blog reader) to share your content on their social media. Make sure that your blog posts are on the longer side (500-800 words or even longer) but if you can deliver your content in 400 words don’t stretch it to 1500 just because you can. 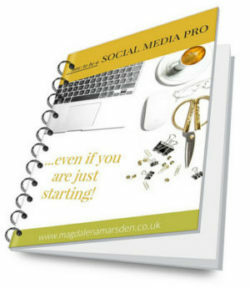 And finally remember: new subject, service or element of your business equals new page or a blog post. So, here you have it – a few tips on how to incorporate SEO into your business when you don’t even know what it means. 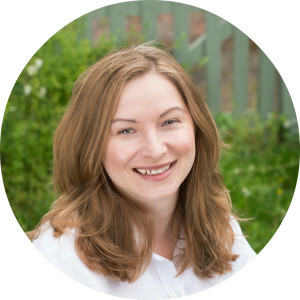 And if you are reading this blog post and you’ve been in business for a while, what are your favourite ‘SEO come non-seo things’ to do? Any recommendations? I love to hear them all, so leave me a comment in the section below. A realllly useful post thanks. I’ve heard that before about people ‘scanning’ websites but a timely reminder!